Aug 90: Unused and dilapidated with much broken glass. Jan 95: Feasibility study being prepared - co-ordinated by GBPT. (Possibility of relocation being explored). Jun 95: to be retained and repaired by Parks Department, mainly as Camellia House. 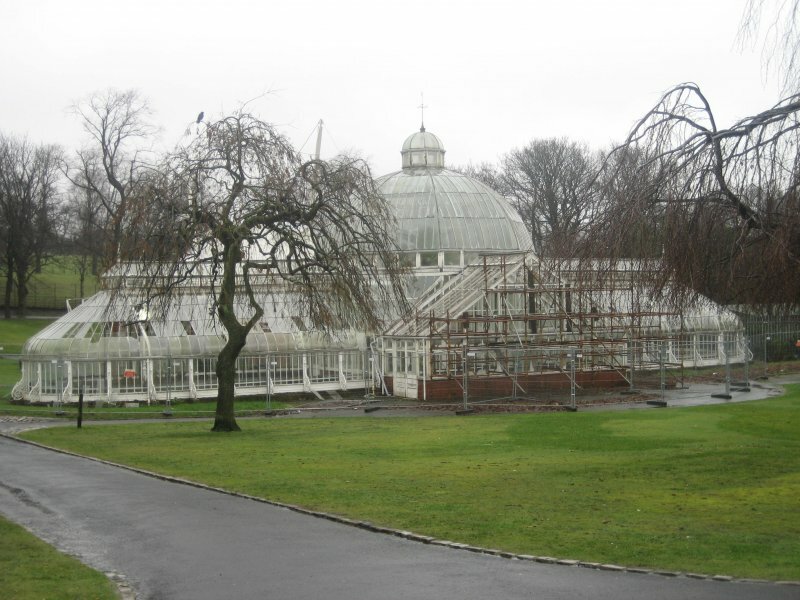 1996: lottery funding secured for upgrading Park, including restoration of glasshouse. Discussions on its future ongoing. 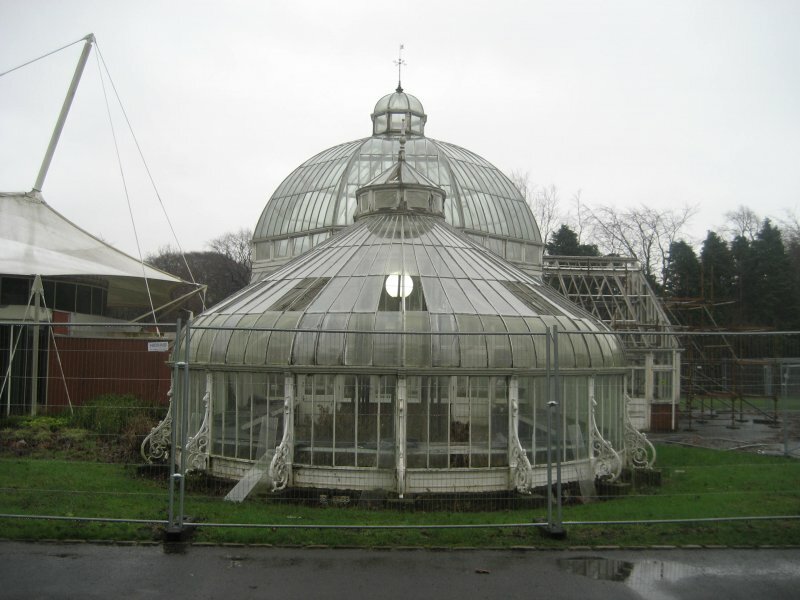 May 98: lottery funding secured for Park, including restoration of these Winter Gardens. It is estimated that work will be complete by mid-1999. Jan 01: successfully restored. REMOVE. 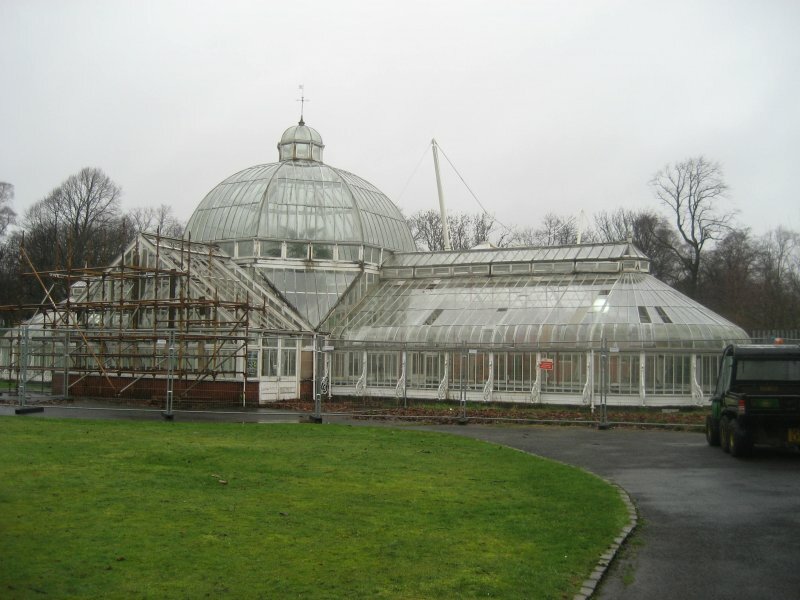 18 February 2014: Although previously restored, the glasshouses are understood to have been damaged during storms in Dec 2010/ Jan 2011 and have been closed since. Moved back from Saved to For Investigation. 26 February 2014: A desk based assessment of this site was made based on images obtained during a recent site visit by the GCC BARR officer. 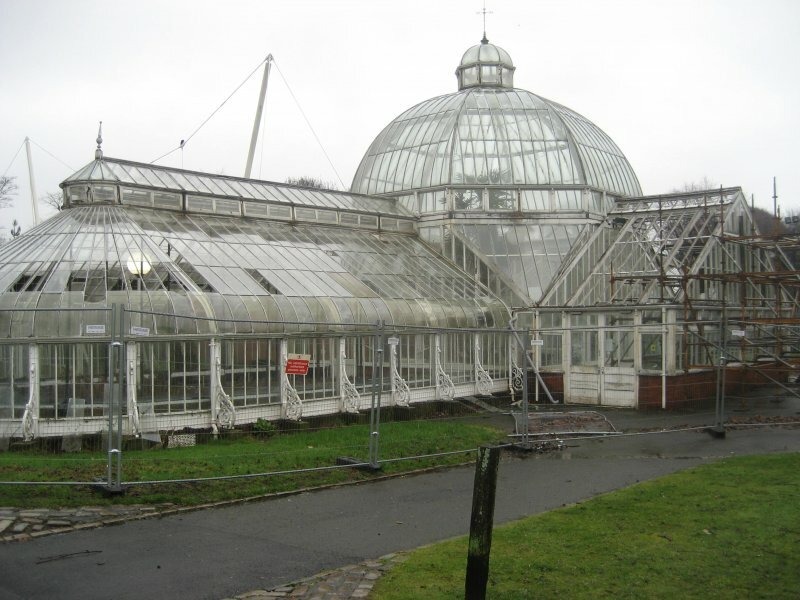 The glasshouses and their associated modern extension building have fallen out of use and are fenced off from public access. One arm of the glasshouse has a scaffold suport. They are vulnerable to vandalism and anti-social behaviour in this location and there is evidence of glazing being lost and damage to the building. Moved to At Risk. 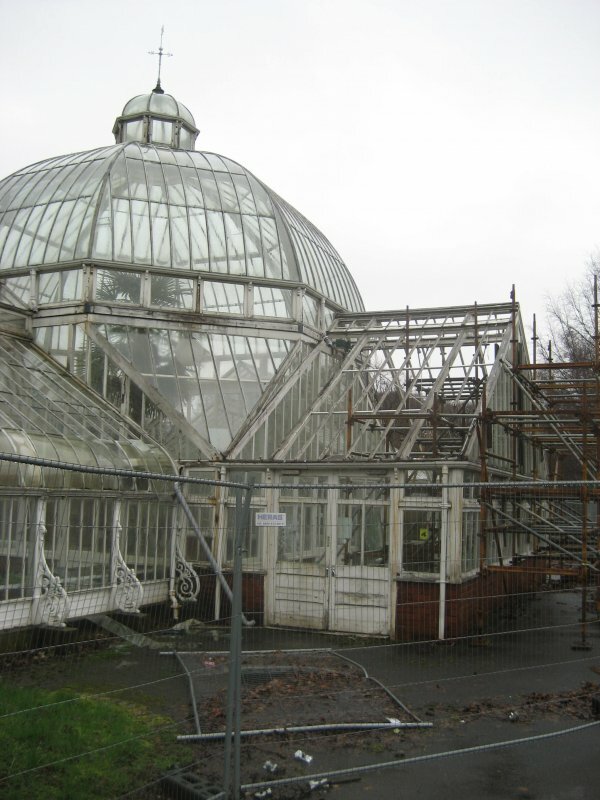 6 March 2014: A site visit was made to the conservatory whilst visiting the neighbouring Tollcross House. 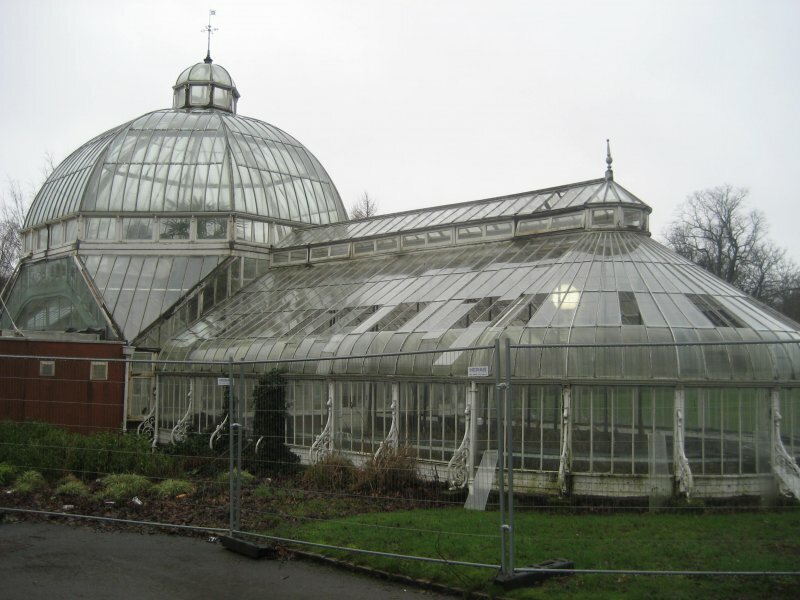 The conservatory was found to be as previously described by the GCC BARR officer; fenced off from public access and suffering from the rapid loss of its glazing. A new photographic record was made in better conditions. 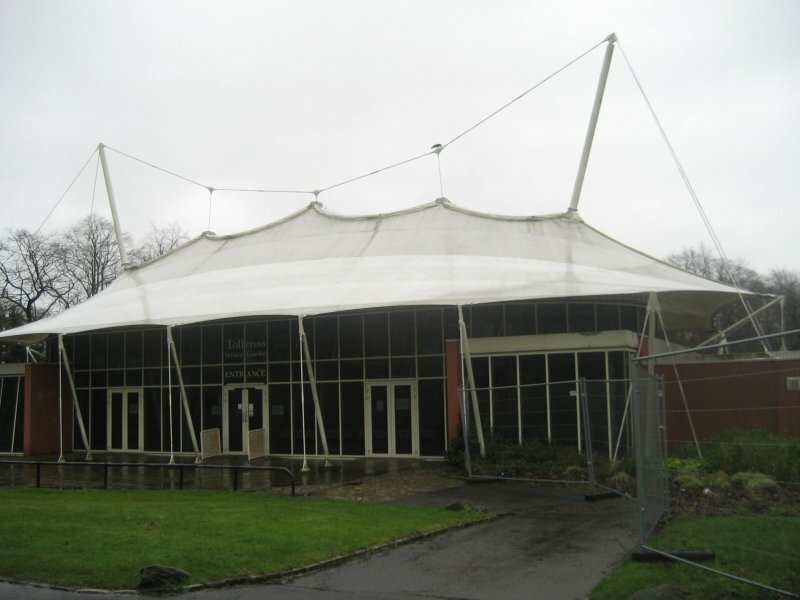 6 June 2014: Local planners report LBC for Repairs to Winter Gardens ref: 13/02048/DC Granted 08.10.2013. 19 March 2019: A member of the public notes the continued loss of glazings at the building and that security fencing is being breached.